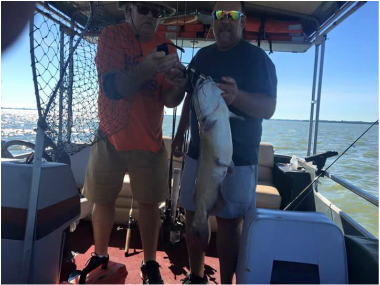 The Sandusky Bay offers tremendous catfishing from May through September. 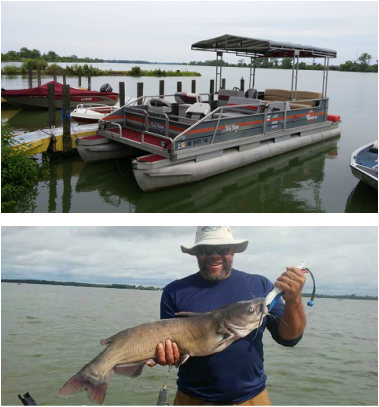 An average day's catch is 8-20 catfish per person, between 12 and 30 inches long, yet at any time you can hook much larger fish! You can eat the fish you catch and we offer fish cleaning for an additional fee. The catfishing here is good all day long; you don't need to get up before sun up or stay after dark. In addition, feel free to bring your own personal fishing rod and reel if you would like, and don't forget your camera to capture the fun!